* Two working modes: UP/DOWN. 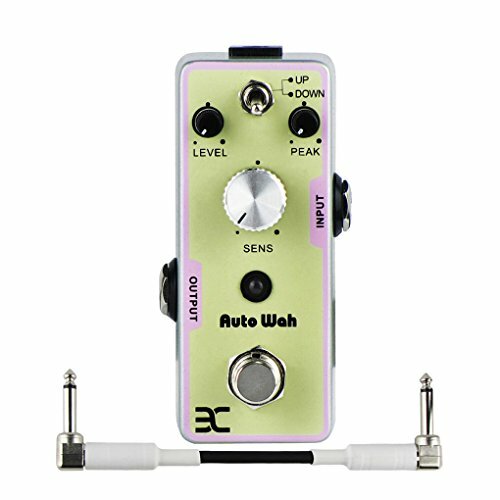 * The Auto Wah is an envelope filter that specializes in generating super-funky wah-like tones. * LED indicator instructs effects or bypass status of Wah effect, when the led is lit up, the effects is on. * Small and exquisite design with full metal shell. * True bypass style, with durable jacks and foot switch. * Can be used Negative DC 9V as Power Supply. Please Read Manual Before Operating. If you have any questions about this product by EX, contact us by completing and submitting the form below. If you are looking for a specif part number, please include it with your message.